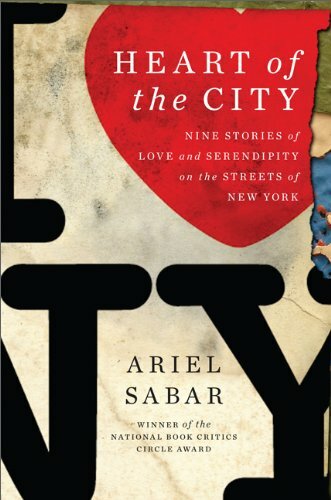 Inspired by his parents meeting serendipitously in New York’s Washington Square Park, this is the question Ariel Sabar explores in his delightful collection of essays (stories, really) that recount initial contacts in notable landmarks of America’s most famous city, all of which resulted in marriage. So he “set out to find the invisible forces at play in great public places” and to see if there was “any basis . . . to the notion that [these places] could kindle attraction among strangers.” As might be expected, he finds “a nexus between passion and place, between architecture and attraction.” The nine stories he recounts are testimony to that epiphany. And so we meet Joey and Willis, Sophia and Matt, Jean and Danny, Tina and Chris, and five other couples at that critical moment and learn how New York landmarks played a role in their finding each other. One of the stories is that of Robin and Marcel. Robin, an architecture student from Minnesota, is in New York conducting research for a 9/11 memorial proposal. Marcel is a New York City cop. The two could not be more dissimilar. But as fate, and the city, would have it, they meet in Times Square when Robin asks a policeman for a restaurant recommendation. Turns out Marcel experienced the trauma first-hand when the World Trade Center was brought down. So back home in Minnesota, Robin calls him to see how he is doing on the one-year anniversary of the tragedy. Then she returns to the city for further research. They begin to visit each other. Robin moves to New York. The rest, as they say, is history. Another captivating story involves a woman from the Philippines, a New York musician, and the city’s notorious subway. The Asian woman, Chesa, cannot find her one friend in New York so she calls Milton, the musician, who has given her directions and his phone number. “You’re the only person I know in America,” she tells him dolefully. He takes her in “for a few days.” She stays for months, sleeping on the couch. They grow close, eventually planning to marry. But Milton chickens out. Chesa, heartbroken and angry, goes home, but returns to New York with no plans to see Milton. Quite by accident, they meet again, in a Brooklyn Laundromat. Four months later, in 2003, they marry. In 2009, Chesa becomes a U.S. citizen. Today they live in Queens. One of the nicest elements of the book is that Sabar provides an update on each couple. In a postscript to their stories, we learn how their romances ended up. The couples whom Sabar managed to track down, and all those he interviewed whose stories didn’t make it into the book, have given us a lovely set of real-life romance tales. “They did it not for themselves,” Sabar says in his acknowledgements, “but so that the world—and the cause of love—might be in some way richer for their stories.” And richer we are, simply because 18 people happened to be in the right place at exactly the right time—and a writer had enough curiosity, and foresight, to capture their stories.